Tile and grout is easily one of the most beautiful additions to any home. Where it’s a backsplash for your kitchen or bathroom, a beautiful new flooring material in your entryway, or subway tiles for your shower, it can add a remarkable layer of visual interest. The one thing about tile many find less appealing is the sheer amount of options you can choose from. There’s quite a variety available, and once you’ve chosen a tile that you actually like, or even a tile design that you favor, you’ll have to start looking through grout colors. Do you want white? Will that be hard to clean down the road? Should you get black? If you were overwhelmed at the time you committed to purchasing and installing tile in you’re home, we completely understand. We also understand if you’re not really attracted to the look of your tiling anymore. But, before you drag it all up, we recommend first taking a look at changing the color of your grout first. We’ll show you how! Changing the color of your grout can be equally as daunting as the idea of investing in new tiling as it’s just more decisions to make and you won’t know if you’ll like it down the road. Well, tile grout is pretty easy to change, so don’t get overly caught up in the details. Lean toward a modern look with bright, surprising colors instead. There’s a couple of ways you can access replacement grout: you can choose pre-mixed — which is the easiest option if you’re hoping to DIY this update, or you can choose additive or colorants. Like it sounds, you can head out to Home Depot or your other choice for home improvement gods and pick up a dry mix of pre-mixed grout. It’ll have the color already added in it and all you’ll have to do is work out the application process. 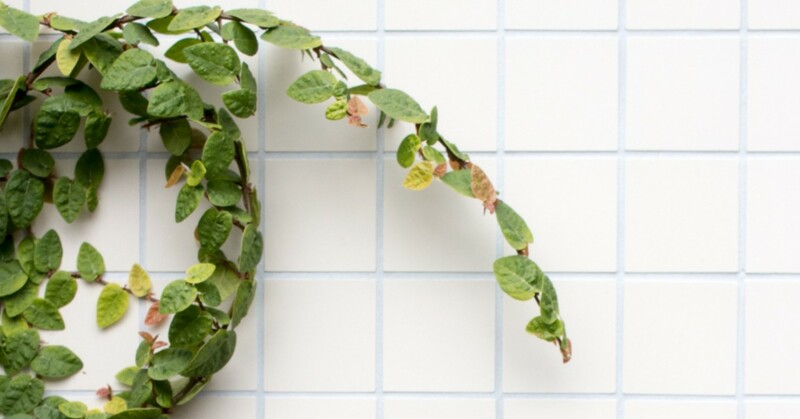 If you’re looking for something a tad more original, you can opt for additive grout. Essentially, you’ll take the dry mix grout and put a color additive into the mix to achieve another shade that’s less manufactured. But just as application ready and easily created.We would recommend, however, asking a professional to mix the grout together for you. It can be hard to get the pigment totally even which isn’t a big deal in most mixes but since this is purely aesthetic, it is a big deal. If you’d like, you can avoid scraping out your current grout altogether and start off with the colorant coating over your current grout. Colorants allow grout that’s already been hardened to change hues. You can apply it using a “pen” that will allow you to paint the grout with precision so you don’t color your tile somehow. This likely won’t be a problem unless your tile is uncoated, a porous stone, or a white color already. Be super precise with the application if your tiling material falls into any of these categories. Because changing the color of your grout is pretty easy at any point, we’d encourage you to take a risk and try something modern. Recently though, nothing super wild has come into style, however the off-grey color that is awfully poplar certainly achieves a certain look than previous in-vogue cream colored grouts. That doesn’t mean you have to stick to those guidelines though, we encourage you to try to take samples of the 40 different colors home and line them up against your tile to see what colors are playing well together and which aren’t. Our one main caution in regard to coloring your tile is that it is time intensive. So if you’re hoping for this to be a one and done, keep that in mind as you browse through nearly orange colored grout colorants. 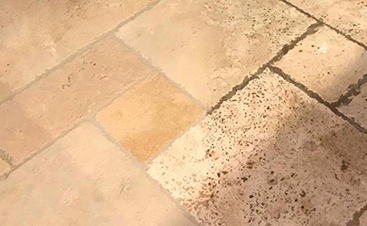 If you’re gearing up to knock all your grout out or painstakingly draw in a new color over every line on your floor or backsplash simply because your current grout color has a few stains, please don’t waste your time. 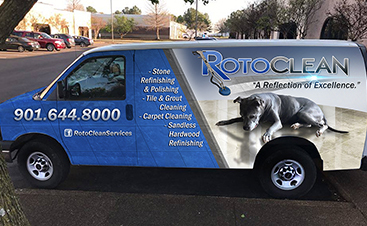 Reach out to Roto Clean Memphis. We’re confident we can help you completely destroy any stains in your grout or tile with diligent, state-of-the-art cleaning techniques. 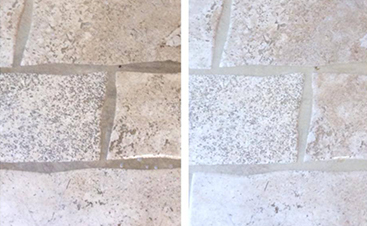 We’re always happy to help restore natural stone or beautiful tiling come back to it’s rightful look with exceptional steam cleaning techniques. Reach out to us to schedule your grout and tile cleaning for your Eads home now.